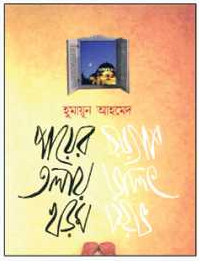 Payer Tolay Khorom by Humayun Ahmed is a great and popular book of Humayun Ahmed. This book is a journey or travel storybook. You will find the experience of Humayun Ahmed travelling from this book. In this book, Humayun Ahmed travels with his family in Turkish. The age of this girl is seven and a half years old. The cloth in her body is a red gorgeous fork. There is a red ribbon on her hair and a red handbag on her hand. The girl is crying with desperately on the lounge Dhaka Airport. Her parents are standing a little away from her. She is going to Istanbul leaving them alone. Children around the world will dance in the birthday of Kamal Ataturk. She is the representative of Bangladesh. By seeing crying of this child, at one point her mother said, my daughter, will not go there. I can not leave her. The story is started here. So, if you read this Bengal travel novel named Payer Tolay Khorom, you will learn many things about Istanbul. If you want to collect the Bangla book named Payer Tolay Khorom by Humayun Ahmed in order to read, you are needed to click here! Remarks: Humayun Ahmed Free Book Read, Download Humayun Ahmed Books, Best Bangla book by Humayun Ahmed.